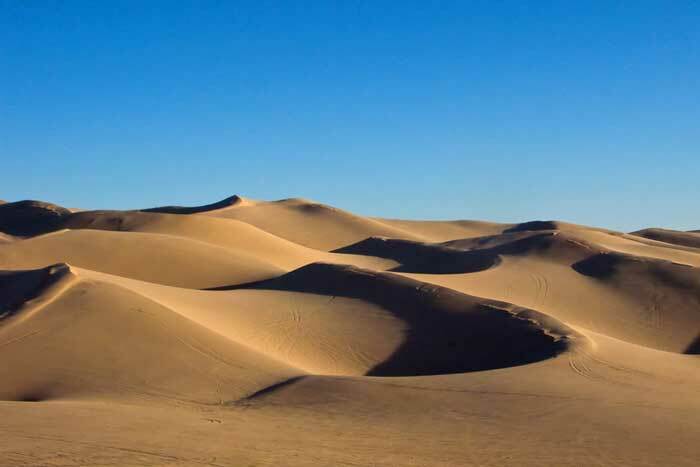 Singing sand, also called whistling sand or barking sand, of California and Nevada is sand that produces sound. The sound emission may be caused by wind passing over dunes or by walking on the sand. The sand grains have to be round and between 0.1 and 0.5 mm in diameter. The sand has to contain silica. The sand needs to be at a certain humidity. The most common frequency emitted seems to be close to 450 Hz.